The textile industry is increasingly based on ongoing innovation and development of higher performance products, and the field of functional textiles is no exception. This book explores the development of textiles with a wide range of functions, with the aim of improving the performance of the product in terms of the protection and health benefits that it can offer. The book is split into two parts. 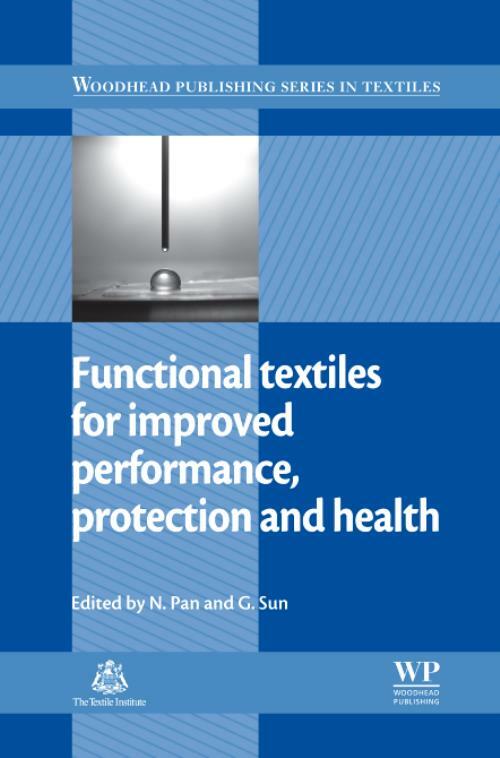 Part one focuses on functional textiles for improved performance and protection, with chapters reviewing antistatic, flame retardant and infrared functional textiles, among many others. Chapters in part two examine the uses of functional textiles in a medical context, including superhydrophobic materials, antibacterial textiles and insect-repellent materials. With its distinguished editors and contributions from some of the world's leading authorities, Functional textiles for improved performance, protection and health is invaluable for textile scientists, technologists and engineers as well as those designing and manufacturing textiles. It is also a suitable reference for the academic sector. Pan, NDr Ning Pan is a Professor at the University of California, Davis, in the Division of Textiles and Clothing and the Department of Biological/Agricultural Engineering. He has published widely in the areas of mechanics and physics of fibrous materials, and is a Fellow of both ASME (American Society of Mechanical Engineers) and the Textile Institute.